Although they're no longer in production, the Scandia wood stove was originally produced by Franklin Cast Products. Based out of Road Island, the company made a decision in the late 1970's to have its manufacturing take place in Taiwan which ultimately led to the companies demise. 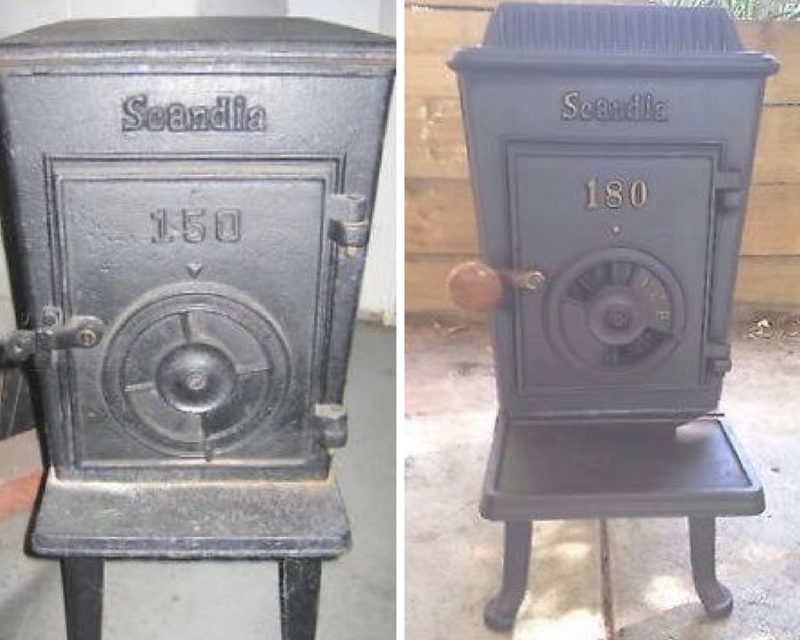 The Scandia stoves produced in Taiwan were illegal replicas of other popular stoves where they copied the designs but failed to supply the quality craftsmanship of the original high quality stoves. These replica stoves, which were typically a knockoff of a Jotul wood stove, were imported into the United States from the late 70's to the mid 80's until a slew of lawsuits forced Franklin Cast Products out of business. Now, more than 30 years later the wood stove community still talks about the scandal behind these stoves and most consumers won't use one inside their home. However, some have been using a Scandia wood stove for over 20 years and it's still burning strong. So why are their such mixed opinions about these stoves? To learn more let's look at some of the risks to their manufacturing and the problems they create. When Franklin Cast Products outsourced their manufacturing to Taiwan, the casting was very inconsistent and was often poor quality. Although they were marketed as an airtight stove, Scandia stoves typically were not air tight due to the poor casting. Plus the doors were not tight fitting which only added to the inconsistencies of these stoves. A stove that's not airtight is hard to control and they often burn at high temperatures since it's hard to regulate how much air is getting into the firebox. Plus, cracks or gaps in the stove also increase the possibly of catching nearby combustible surfaces on fire, which means you'll need more clearance than a higher quality stove. When burning at such a high temperature, the stoves also go through a lot of the internal baffles that seem to eventually warp or burn out in spots requiring you to replace them, creating more maintenance and costing more money. Overall, most homeowners would benefit by shopping around for a more reliable stove and preferably a stove that's EPA certified. An EPA certified stove will burn cleaner, burn more efficiently and will use less firewood than a pre-EPA certified stove. Scandia stoves are not the right choice for someone who's new to wood burning or new to heating with a wood stove. Does this mean the stoves have zero use? Not necessarily......many of these stoves are still useable if they're in good shape. As long as they're in good shape, installed properly and operated by someone who's experienced with wood stoves, they'll heat just fine. However, if you're looking at installing a Scandia wood stove in your home, you're better off spending your money and using your time installing a wood stove manufactured by a reputable company.